Guinea pigs are very social animals and are very vocal. They have a large range of vocalisations which they use to communicate with each other and with us. Guinea pigs usually prefer to talk aout and argument rather than to fight. There are many vocalisations you will hear as your guinea pig settles in! alone and another pig is trying to 'cuddle' it! Most pet guinea pigs require little if any grooming however if you have a longer haired variety it will require grooming, and the amount will vary with the age and coat type of the individual. 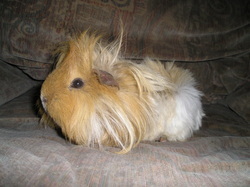 Long haired guinea pigs will require brushing and maybe trimming of their coat. Particular attention should be paid to the rear-end of the animal to prevent a build up of faeces. Grooming should not be a traumatic experience for any guinea pig and should be seen as a bonding activity as well as a necessary part of owning a longer haired pig. 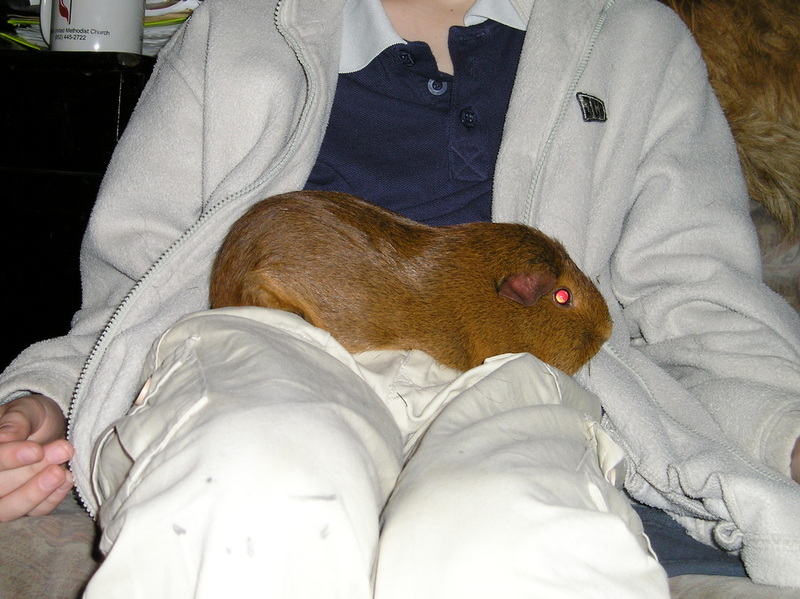 Do not attempt to groom your guinea pig until you are able to handle it, it is lap-friendly and settled into your lap or on a table. Remember, the more you handle your pig the friendlier they will be and the quicker you will pick up on signs of distress and illness. 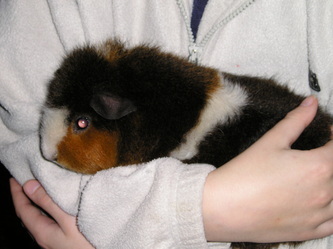 NEVER allow young children to handle guinea pigs completely alone and always ensure they are not walking around or standing up when they are holding guinea pigs, as they can drop them and cause serious injury. Guinea pigs are not fans of heights and so may struggle free through fear and its a long fall for a small furry! - Reach into the house. This will usually cause the occupants to run and hide somewhere within the house!